Before I came to work at WYPR, I worked at a documentary company called Soundprint. While I was there, they were working on a series of stories about urban forests that delved into the unique environmental issues that cities face. For the documentary Watershed 263, we attended an Earth Day planting ceremony at Gilmor Elementary in Baltimore. Gilmor was one of a dozen schools in Baltimore that had converted their parking lot into a garden. Things like parking lots and roads are terrible for the environment. When it rains, the rain gathers up all the oil and other pollutants that have been sitting on the pavement and then whooshes it all into a storm-water drain. That all ends up in the Chesapeake, of course, where it wreaks havoc. A garden, on the other hand, keeps that water right there, and puts it to good use. It's a lot of fun for the kids, too, to get a day out of class to get their hands dirty and have a beautiful spot to play. The purpose of that whole long story was to tell you that on that day, then-Mayor Martin O'Malley was at that school, and ceremoniously planted the first flower in the soil. I remember being impressed that he would find time in a busy schedule to visit a school, make a speech, plant a flower, and hang out with the kids for awhile. I left with the feeling that he cared about the environment. The impression I was left with would please the now Governor, and those who work to craft his image. He has very purposefully cast himself as a "Green Governer". But what does that term really mean? As the environmental crisis in the Bay and beyond seems to grow more urgent, how does the criteria for being an environmental politician change? What is the gold standard in environmentalism for a politician? What is the leading edge-and is O'Malley on it? We'll discuss this today with people who all care deeply and have devoted their lives to the environment. Join us, to share your thoughts on what you would like to see happen in Maryland. 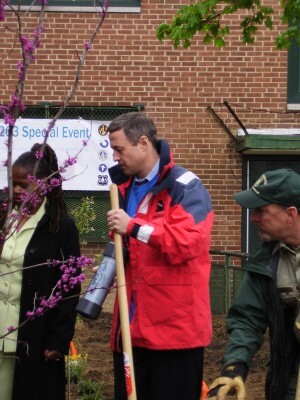 Poll: Do you think Governor Martin O'Malley is a Green Governor? 1. brown bull headed catfish taken from the South River near Annapolis by USGS. Nearly 2/3rds sampled had these cancerous tumors from water pollutants, most likely from stormwater runoff. 2. BROWN TIDE KILLS 7,000 INNER HARBOR FISH June 5, 2007 BALTIMORE -- State environmental officials said a lack of oxygen killed thousands of fish in Baltimore's Inner Harbor last weekend. State program director Charles Poukish said the fish kill is the result of an algae bloom or brown tide. Poukish said the lack of dissolved oxygen is the result of a large bloom of microscopic algae. Recent warm water temperatures killed the algae and that depleted oxygen near the water‘s surface. Massive fish kills also were reported in the Potomac during the summer and other kills in the Magothy and other rivers. 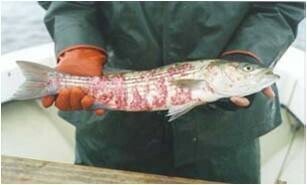 3. rockfish with mycobactreiosis (chronic wasting disease). A wasting disease that kills rockfish and can cause a severe skin infection in humans has spread to nearly three-quarters of the rockfish in the Chesapeake Bay, cradle of the mid-Atlantic's most popular game fish. The disease also sends a grim message about the entire bay ecosystem. The rockfish remains bay conservationists' only success story -- a species nearly wiped out, then revived by fishing limits. But as the number of rockfish surged, the fish remained in a body of water too polluted to support the level of life it once did. 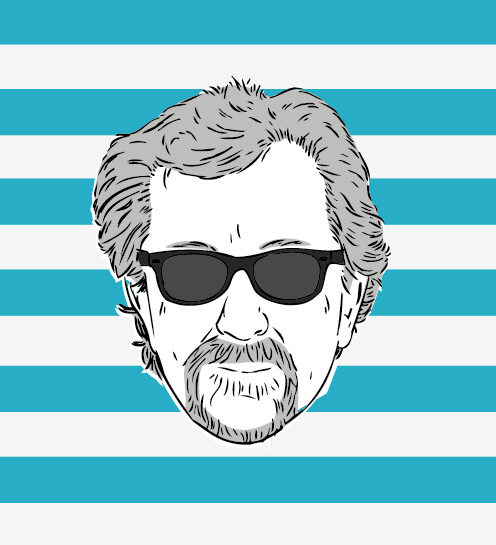 Before I came to work at WYPR, I worked at a documentary company called Soundprint. While I was there, they were working on a series of stories about urban forests that delved into the unique environmental issues that cities face. For the documentary Watershed 263, we attended an Earth Day planting ceremony at Gilmor Elementary in Baltimore. Gilmor was one of a dozen schools in Baltimore that had converted their parking lot into a garden. Things like parking lots and roads are terrible for the environment. When it rains, the rain gathers up all the oil and other pollutants that have been sitting on the pavement and then whooshes it all into a storm-water drain. That all ends up in the Chesapeake, of course, where it wreaks havoc. A garden, on the other hand, keeps that water right there, and puts it to good use. It’s a lot of fun for the kids, too, to get a day out of class to get their hands dirty and have a beautiful spot to play. The purpose of that whole long story was to tell you that on that day, then-Mayor Martin O’Malley was at that school, and ceremoniously planted the first flower in the soil. I remember being impressed that he would find time in a busy schedule to visit a school, make a speech, plant a flower, and hang out with the kids for awhile. I left with the feeling that he cared about the environment. The impression I was left with would please the now Governor, and those who work to craft his image. He has very purposefully cast himself as a “Green Governer“. But what does that term really mean? As the environmental crisis in the Bay and beyond seems to grow more urgent, how does the criteria for being an environmental politician change? What is the gold standard in environmentalism for a politician? What is the leading edge-and is O’Malley on it? We’ll discuss this today with people who all care deeply and have devoted their lives to the environment. 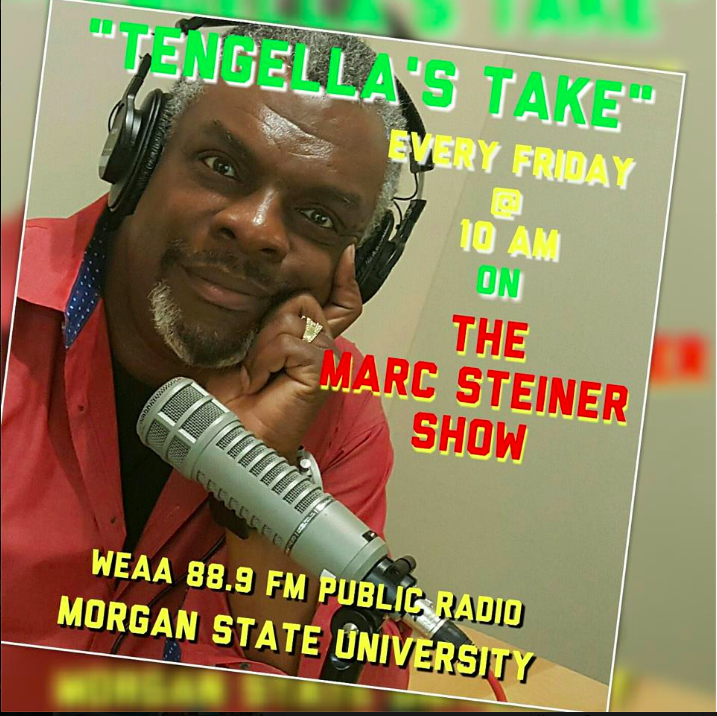 Join us, to share your thoughts on what you would like to see happen in Maryland. Poll: Do you think Governor Martin O’Malley is a Green Governor? 2. BROWN TIDE KILLS 7,000 INNER HARBOR FISH June 5, 2007 BALTIMORE — State environmental officials said a lack of oxygen killed thousands of fish in Baltimore’s Inner Harbor last weekend. State program director Charles Poukish said the fish kill is the result of an algae bloom or brown tide. Poukish said the lack of dissolved oxygen is the result of a large bloom of microscopic algae. Recent warm water temperatures killed the algae and that depleted oxygen near the water‘s surface. 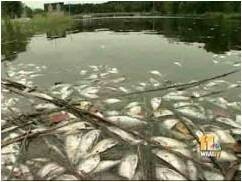 Massive fish kills also were reported in the Potomac during the summer and other kills in the Magothy and other rivers. 3. rockfish with mycobactreiosis (chronic wasting disease). A wasting disease that kills rockfish and can cause a severe skin infection in humans has spread to nearly three-quarters of the rockfish in the Chesapeake Bay, cradle of the mid-Atlantic’s most popular game fish. The disease also sends a grim message about the entire bay ecosystem. The rockfish remains bay conservationists’ only success story — a species nearly wiped out, then revived by fishing limits. But as the number of rockfish surged, the fish remained in a body of water too polluted to support the level of life it once did.